Small town living only 8 miles from Florence. This house is a Must See. Custom built 4,290 SF Realtor's personal home. Features 840 SF separate in-law suite w/private entrance, separate kitchen, bath, bedroom, laundry and patio. 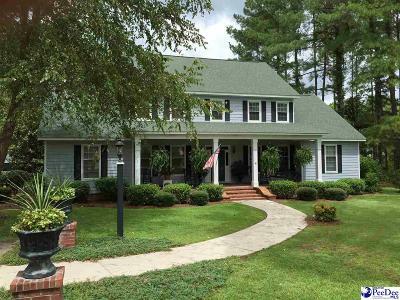 Main house has 4 BR, 3 full BA, large front porch, sunroom, home office, deck; hardwood floors on 1st floor, beaded wood ceilings in Den & Sun room, laundry chute, wet bar, 9' smooth ceilings throughout, updated kitchen w/granite counter tops. Fireplace with gas logs.